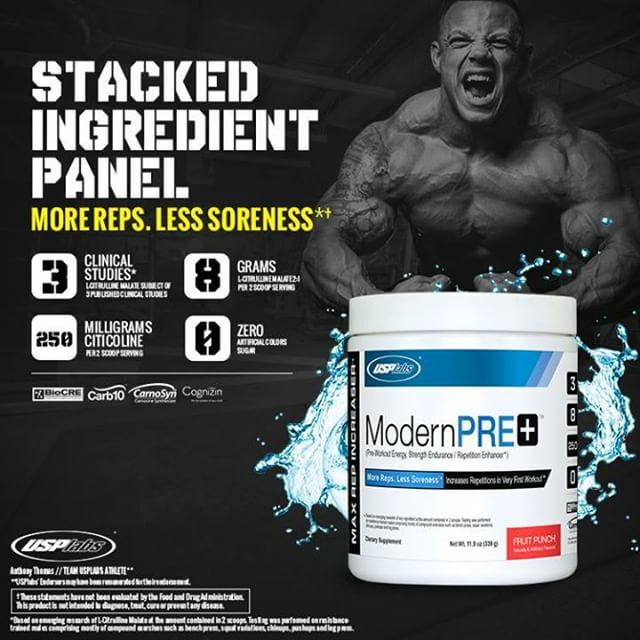 USPLabs has been touting their new pre workout supplement, Modern PRE, which has gone into beta testing in late November 2015! We know very little about it, except that USP is extremely excited about what’s coming. The trend in the best pre workout supplements has been towards the “fully loaded one scoop wonders” area, so we’re hoping it will be of that style. The first leaked image of USPLabs Modern Pre from an alpha/beta tester who wishes not to be named! 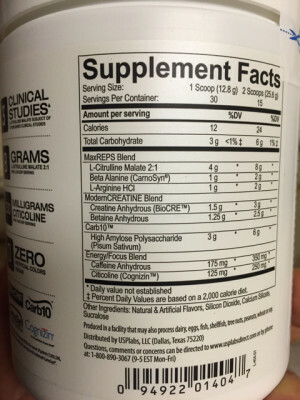 This leads us to believe that there’s 4g citrulline malate per scoop! So what study was that from? 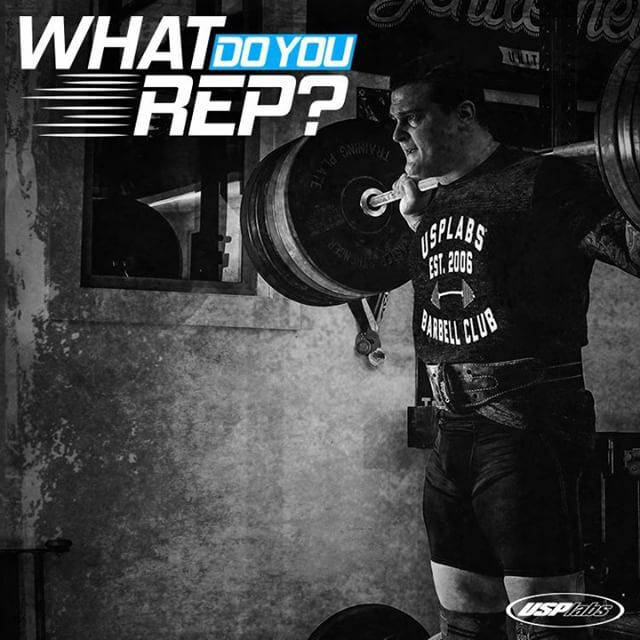 The one that used 8g citrulline malate! So we believe Modern PRE will have 4g citrulline malate per scoop! In fact, USP’s marketing shows 8g citrulline malate 2:1, meaning it will have 5.333g citrulline per serving, or 2.667g per scoop! 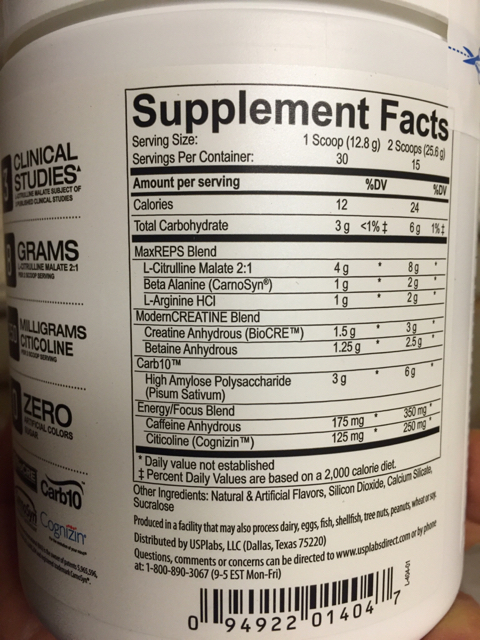 In addition, each scoop will have 250mg citicoline per 2-scoop serving, or 125mg per scoop. USPLabs latest pre workout utilizes a completely open label that combines energy, focus, pumps, and endurance. You’ll like it at one scoop, but if you can handle 350mg of caffeine then you’ll get full clinical doses of all ingredients at 2 scoops! 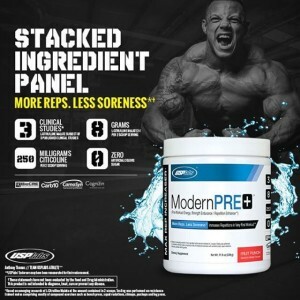 ModernPre+ has a completely open label and boasts a commendable 8g of citrulline malate per 2 scoops! Can you say Pump city?! One the short list of ingredients we want in a pre workout that improves pumps and stamina, Citrulline Malate is at the very top. This ingredient has become a top choice with most new companies when it comes to actually delivering noticeable improvements in nitric oxide production. Citrulline Malate is more bioavailable that L-Arginine and increases serum levels of arginine in the body better than supplementing with L-Arginine. This results in greater NO production in the body leading to enhanced blood flow and a significantly bigger pump. Citrulline malate functions as a buffer in the the body, helping to remove ammonia and lactic acid accumulation in skeletal muscle. All of this adds up to better endurance and ATP production[2,3,4,5] so you can work out longer and harder. Note that Modern Pre here has a 2:1 citrulline malate blend, so you actually get 2.667g of citrulline and 1.333g malic acid in each scoop. One scoop will be enough for a good pump, but two scoops – if you can handle the caffeine – will really be where it’s at. 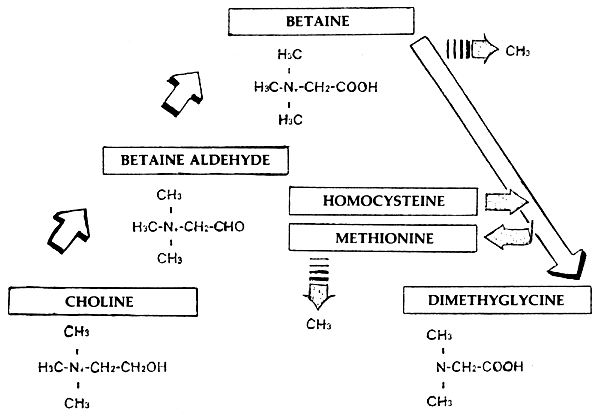 Everyone is familiar with the tingle-inducing amino acid beta alanine. It binds to histidine and forms carnosine, a powerful buffer in muscles that prevents lactic acid buildup. As you may know, the best studies on beta alanine use 3.2g or more spread across a day, so if this is your only chance to get BA in, and you want to maximize your muscular endurance, you’ll need to add some bulk beta alanine elsewhere in your day. The combination of citrulline malate, beta alanine, and betaine will have you grinding out more reps and be less sore after each workout. Perhaps arginine has been thrown a bit too much under the bus – many users still do enjoy it. We do too, but we’d honestly rather have a smaller dose of agmatine or nitrate instead. Still, it probably added next to nothing to the cost, so why not? 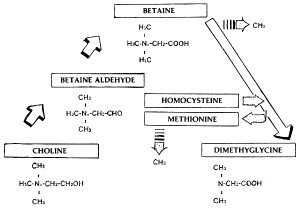 Beatine isn’t just for power, it also enhances the effects of creatine. Users of USPLabs ModernCreatine are quite familiar with this ingredient. Creatine anhydrous is regular creatine monohydrate minus the water molecule. On a gram-per-gram basis, anhydrous provides slightly more creatine than monohydrate. Another of our favorite ingredients is betaine, a.k.a. trimethylglycine. This awesome little compound has become incredibly popular in virtually all pre workouts coming out this year, and certainly appears that way going forward. We’ve recently expounded on the many benefits of including carbs in your pre and intra workout nutrition, and it’s refreshing to see more companies start to jump on the bandwagon. Carb10™ is a fast acting carbohydrate derived from peas. As we’ve seen with highly-branched cyclic dextrin (HBCD), Carb10™ has a low osmolality that speeds gastric emptying. This means that the carbs don’t hang around in your stomach leading to a heavy or bloated feeling. The big difference between the two is that Carb10 doesn’t insulin to the levels that other forms of pre workout carbs do. When compared to maltodextrin, Carb10™ has a 27% lower blood glucose response and an remarkable 82% lower insulin response! This leads to better performance during your workouts, with no chance of “bonking” as well as having reduced muscle soreness afterwards. The issue we have is that there are only 3g per scoop of carbs in this pre workout. You’ll burn through those by the end of your first exercise. If we’re going to have carbs in a pre workout, let’s get serious about it, and not just sprinkle them in for headlines. 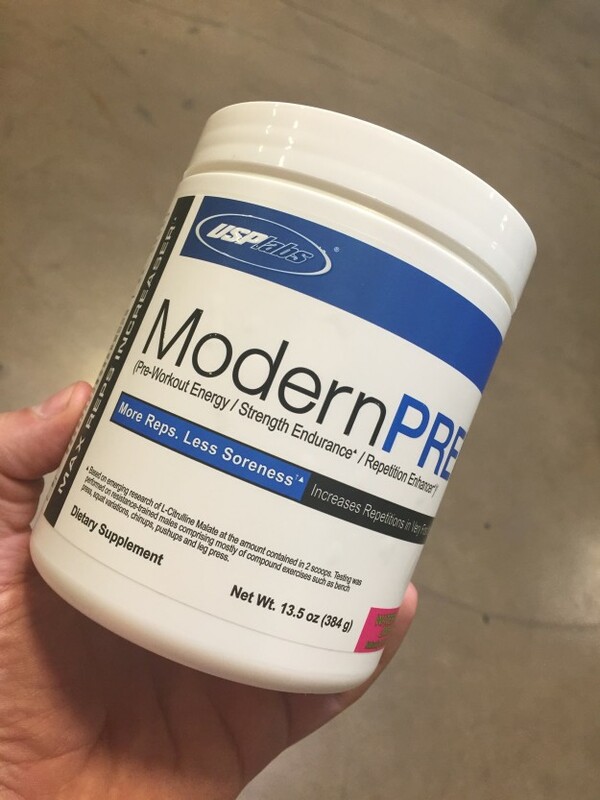 ModernPre+ contains several ingredients that will have you hitting new PRs every time you step into the gym. USPLabs keeps its energy component simple and straightforward. Rather than throw in 10 different types of stims as you’ve seen with other recent pre workout formulas, ModernPre+ uses the old energy stalwart, good old caffeine! Choline supplements are the go-to choice when looking to improve focus during your workouts. Most will see choline bitartrate which is a cheaper, less bioavailable form of supplemental choline. USPLabs spares no expense in using the more bioavailable, and expensive, citicoline which is much better utilized by the body. Choline helps you to feel more “in the zone” during your workout. This leads to a stronger “mind-muscle” connection when lifting. Your workouts will now be more productive as you’ll really be able to break down each and every muscle fiber during each set, which translates to bigger and better gains all around! This comes immediately after the indictment of seven USP executives by the Department of Justice, so the timing is a bit crazy, but USPLabs wasn’t charged for any wrongdoings in their latest generations of products, and it’s business as usual for the marketing and production teams! USPLabs released their official statement on the morning of November 19, which we included in the post linked above. Until then, it’s Modern PRE time! Who’s in?! USPLabs typically slowly releases several flavors, and the last version of Jack3d Advanced had some incredible flavoring (dragon berry was phenomenal), so our hopes are high. This product will be only naturally colored, which is a trend that we’ve seen growing for a while, and one that we typically support. USPLabs getting back to their roots with that one. Overall, it’s the first ever non-proprietary pre workout supplement from USPLabs, which is great to see. It takes the safe route: one stimulant, one main pump agent, two safe and proven ergogenics, and one main focus boosting agent. It hits several of the checkboxes users want when going through our best pre workout supplement buyer’s guide. If we could change just one thing, it’d be to bump the citicoline up, even if that came at the expense of the carbs or arginine. We also enjoy carbs more in pre workouts lately, but 6g in a max dose isn’t exactly a massive number. It’s at the awkward point where you begin to wonder if the insulin spike this causes will clear out more glucose than the 6g itself! Regardless, if your caffeine tolerance is in the 300-350mg range and you aren’t looking for other stims or complexity, you’re probably going to love this. Moreover, you will see gains if you haven’t been taking adequate creatine and/or betaine doses. And at this point, you should know that USPLabs isn’t taking many risks – they really haven’t since 2013. 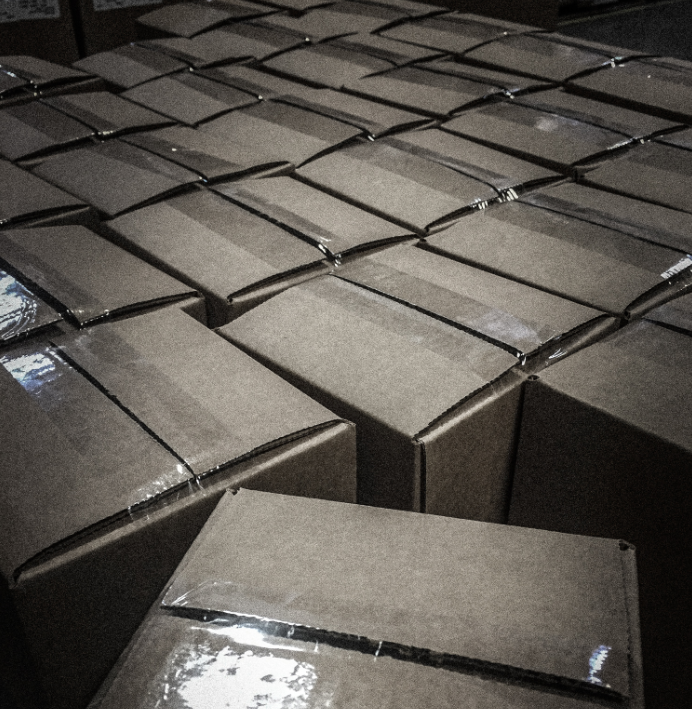 If you still want DMAA pre workouts, they’re out there, you’ll have to look elsewhere. 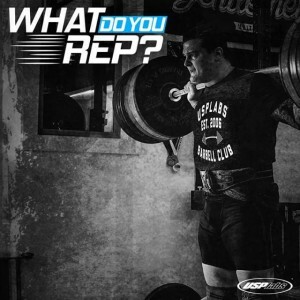 No Comments | Posted in New Products, Supplement News | Tagged Arginine, Beta Alanine, Betaine, Caffeine, Carb10, Carbohydrates, CDP Choline, Choline, Citicoline, Citrulline Malate, Creatine, Creatine Anhydrous, Pre Workout, Pre Workout Supplements, USPLabs. Jager,R.,et al., Analysis of the efficacy, safety, and regulatory status of novel forms of creatine. Amino Acids, 2011. 40(5): p. 1369-83.